There is a long-standing debate in education between discipline-based learning and integrated learning. Many of us remember classes we took in school that were discipline based—math, science, English, foreign language, history. If we reach back into our memories, we might remember a social studies class in elementary school—perhaps the closest we got to integrated learning. Now, STEM and STEAM curricula—as well as schools like High Tech High, which focuses on project-based learning—have put integrated learning back in the spotlight. But the question still remains: Is it better to teach students using an integrated approach or a single-subject approach to curriculum and instruction? There are distinct benefits of each, and the answer we have found at Lowell is that when both approaches are skillfully and intentionally blended together a very powerful and effective learning environment is created. For the purposes of this discussion, a single-discipline focus is the more traditional approach. Each subject is taught in isolation such as a math class using a curriculum that is designed to teach math skills and concepts. An integrated approach creates learning experiences that call on more than one discipline or subject such as cross-discipline assignments or units, project-based learning experiences, curriculum developed across a number of disciplines, and/or curriculum tied together with overarching themes and questions. Why Focus on a Single Discipline? The narrower, intense focus helps students efficiently develop subject-specific skills and content. A single discipline approach is efficient in that material can be taught in a logical sequence, with skills building on skills. This supports students in progressing, practicing, mastering, and pushing further within the subject matter. With the use of explicit goals, students are immersed in a learning process devoted to gaining an understanding of the content and practicing a particular skill until they reach mastery. The mastery feels satisfying, and students are eager to go on and master the next set of skills. Because the success is measurable to subject-specific goals, mastery is more obvious to a student and can feel more immediately rewarding, which leads to a desire for further engagement. Immersion in a single discipline also helps students develops deeper appreciation for the beauty, complexity, and depth of the subject. This immersion can lead to excitement and further engagement as the student goes deeper and deeper into the area of focus. When a single subject is taught by an “expert” versus a generalist, this effect is even further optimized. Why Use an Integrated Approach? 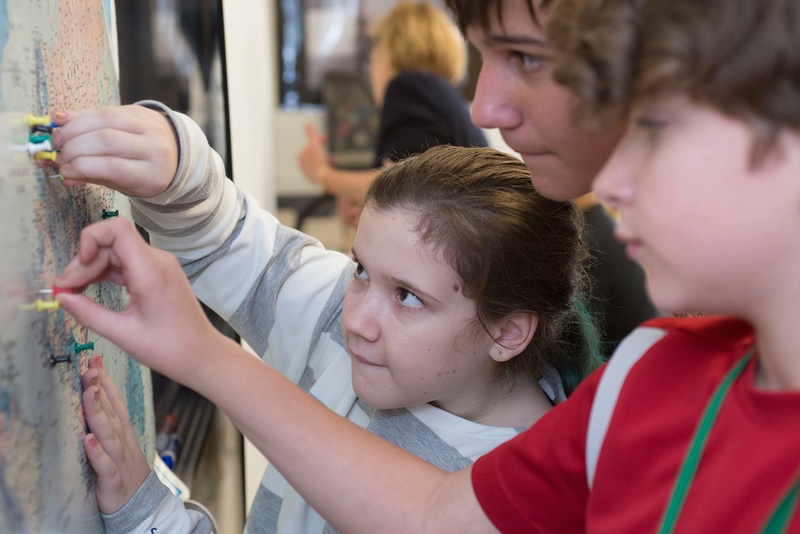 An integrated curriculum causes students to make connections in their learning across subjects or between various areas of a specific subject. This is a more realistic learning experience. In “real-life,” problems are rarely as siloed as subjects in school can be. Teaching in an integrated manner helps students see problem solving as complex and multi-layered. An integrated approach to learning provides students with overarching organizing ideas and concepts, which help them develop the bigger picture and not see learning episodically. Instead, they begin to internalize the process of making connections across disciplines and/or among topics within a discipline. Integrated learning provides opportunities for students to develop and value multiple perspectives that come not only from different people’s interpretations but different disciplinary approaches to a particular problem or situation. Whereas single-discipline focused teaching provides depth, an integrated approach adds breadth to the learning process and also the kind of depth of understanding that comes once something is understood in a larger context. It provides depth within breadth. An integrated approach reinforces skills and content knowledge since integration relies on an application of skills and content. When students apply their skills, they not only see the relevance of the skill better, they practice it and embed it further into their toolbox of skills. This then supports retention. Success in applying skills in a complex and integrated project leads to a generalized feeling of efficacy. Rather than a student just having the satisfaction of mastering a particular skill, they have the feeling that they have actually solved an interesting problem or presented a complex topic well. While it is harder for students to pinpoint this success than on a skills-based test, for example, it can be deeply satisfying. An integrated approach supports the use of reading and research, writing, speaking, and listening—across the disciplines. While it is hard to predict the future and what specific higher-level skills and content mastery a student will need to pursue a chosen career, it is clear that being able to research and communicate well are essential skills for life and in almost any chosen career path. An integrated approach to learning allows teachers to weave in a school’s core values in a natural and applied fashion, thus elevating the learning experience to involve social/emotional strengths and character development. Determining which subjects and skills require large amounts of narrowly focused instruction and providing it. 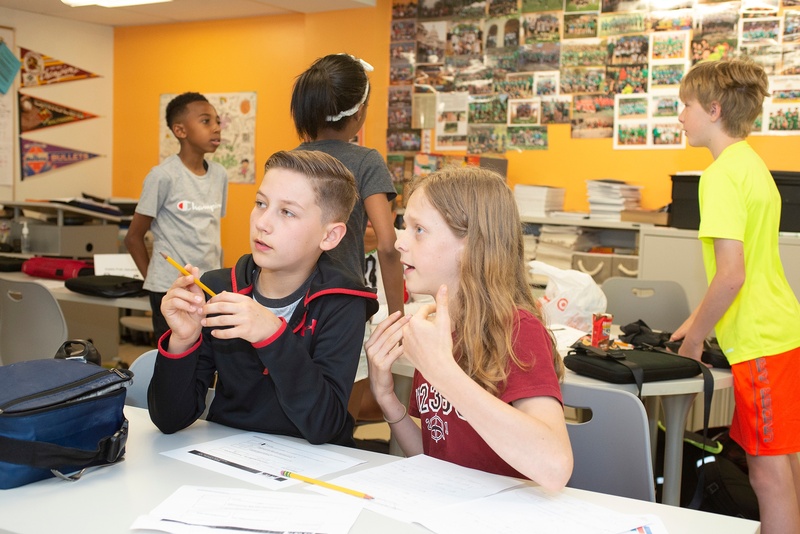 Designing integrated projects which help students develop a deeper conceptual understanding by using experiential, hands-on, and/or simulated learning experiences. Looking for real life applications for integrated learning experiences that draw heavily on particular skills and /or content learned in isolation. Assessing in more than one way. 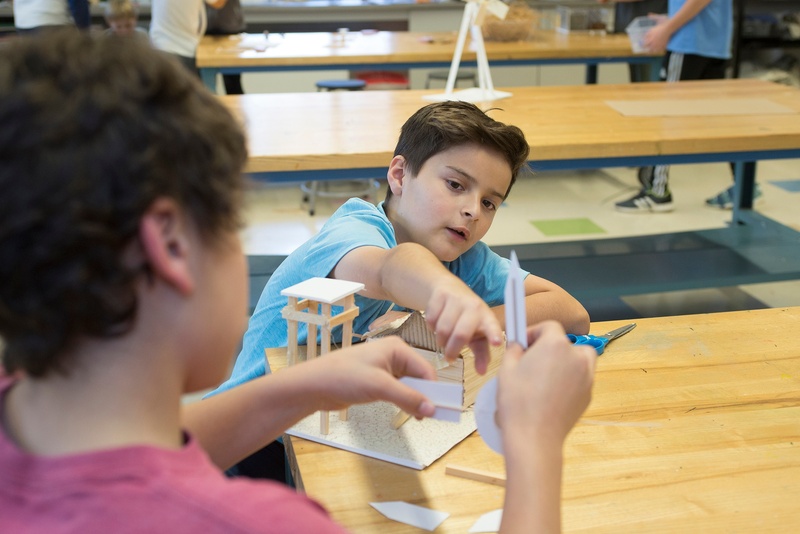 When building towards a project or exhibition, the teachers use skill-specific assessments along the way to help students develop the mastery needed for the more complex application. Assessing in these two ways allows students to enjoy the success of more immediate skill/content mastery, as well as experience the satisfaction that comes from succeeding in the more realistic assessment. Choosing authentic audiences to assess projects and exhibitions so students push even harder on the integrated project. Being transparent in their approach, helping students see the benefits of both a single-subject focus and an integrated approach. Discuss current events. News stories present families with opportunities to connect the past to the present, learn how data impacts decision making, and understand the role of government, economics, art, and entertainment in society. Play games as a family. There are all kinds of games that require players to apply math, strategic thinking, and social-emotional skills. Check out this list of great family games. Be sure to consider cooperative board games for problem-solving challenges that require different perspectives and kinds of expertise. Go to an art museum, concert, dance, or a play together—and then talk about it. The arts tackle themes that are personal, social, aesthetic, universal, and particular. They often incorporate many disciplines including science, technology, and math. Make a point of helping your child uncover all that goes into creating and interpreting a work of art. Encourage your child investigate the natural world through writing and photography. Keeping a nature journal can help your child develop not only their sensory awareness, but also scientific observation, writing, and research skills. Explore the world of makerspaces. Makerspaces nurture curiosity, innovation, design thinking—even empathy and agency. Your child will learn so much as they follow their creative impulses to solve problems and tackle multi-step projects.